The key to getting more customers online is to understand what makes them convert. It’s the process of understanding what customers are looking for when they arrive on your website and then making sure you give it to them. 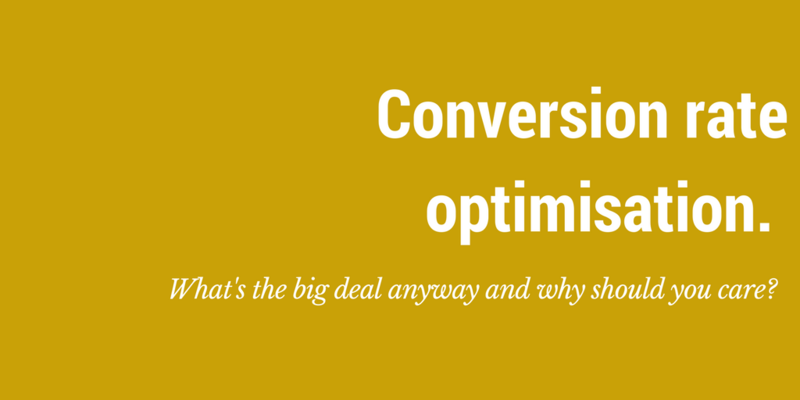 A better conversion rate means a better return on investment (particularly if you are paying to drive people to your website). We’ve listed some of the best guides and quick reads from around the web to help you get to grips with what you need to know quickly. 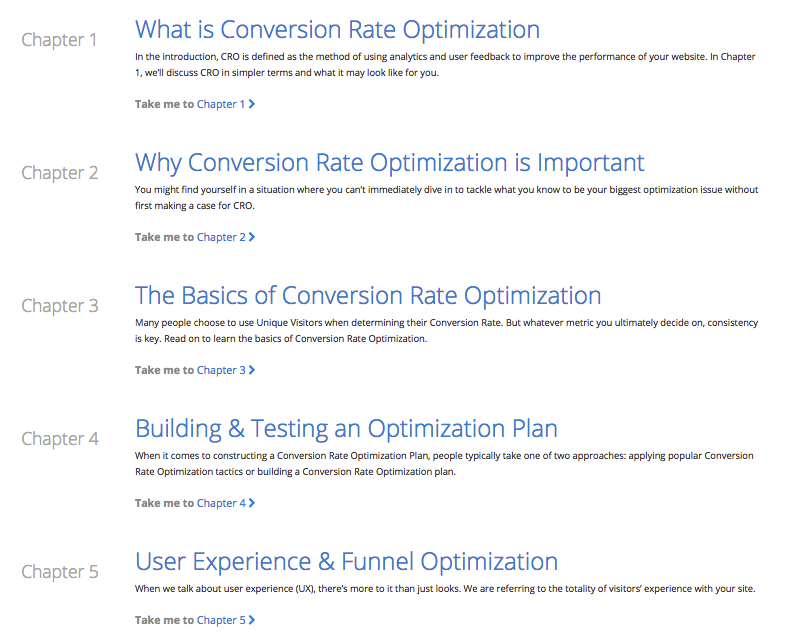 Check out this in-depth tutorial that’s 12 chapters of step by step tips that cover topics like why it’s important, how to build and test an optimisation plan and great tools to trial. 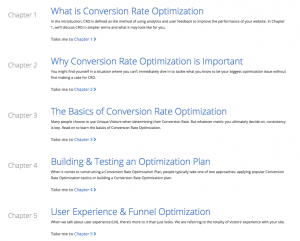 Online marketing experts Moz have put together this comprehensive guide to get you started on the ins and outs of optimising the conversion rate of your website. In this guide you’ll get a clear and defined process for CRO and checklists to print and check off as you go. If you run an online store, you’re always trying to boost your sales. 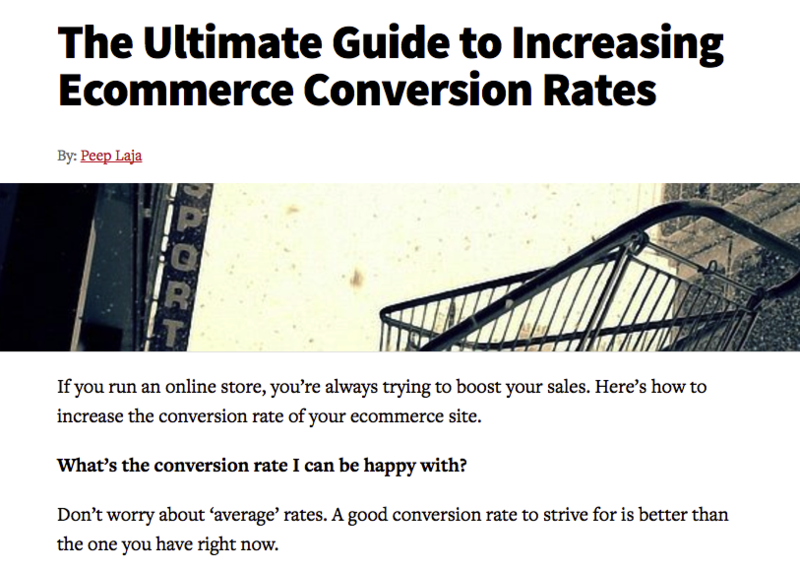 This guide is a must read if you’re looking to increase the conversion rate for your ecommerce site. 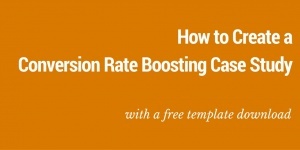 The in-depth guides above cover a whole heap of topics related to improving the conversion rate for your website. But, if you’re looking for something more bite-sized to get started on then check out some of these simple quick articles for some top tips. If you want to improve the conversion rate on your website then you need to consider that customer reviews, testimonials and case studies are more important than ever. Studies show nearly 70 percent of online consumers look for customer reviews prior to making a purchase and customers reviews or stories about a product or service are 12-times more trusted than product descriptions and sales copy from manufacturers. 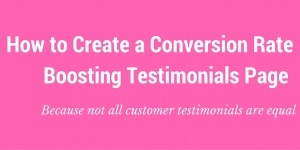 This post outlines 5 simple steps you need to take to get started on creating a testimonial page for your own website. The landing page is the single most important part of your online marketing efforts. Here are 10 quick fixes you can get started on today to make sure that anyone who lands on your website has the best experience possible. Case studies are a great way to showcase a customer success story, which in turn delivers a whole heap of benefits to your website such as added credibility and value to your products. 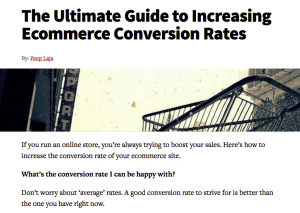 Two key elements that help you stand out from the competition and improve your conversion rate. Download this awesome free template to create a case study that showcases the best of your business here. Ever spent weeks planning and launching a new campaign only for it to fall flat on it’s face? Here are 7 common mistakes you could be making on your website that are stopping people from converting. 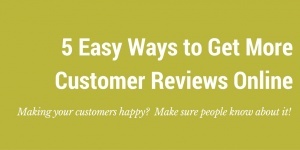 Did you know that a Google review is more powerful than a Google ad when it comes to converting customers? According to a Zendesk survey, 90% of participants claimed that positive online reviews influenced their buying decision. Read this for 5 easy ways to get hold of some brand boosting customer feedback to post on your website and share on your social channels.